Landing on a few starting pitcher sleepers seems more important than ever in 2019. The landscape of the position just feels different. The game has changed and you can thank the Tampa Bay Rays for using their relievers as starters. It’s all about the bullpen these days, which has resulted in fewer innings than ever from starters. Just ask the New York Yankees. There are only a select few studs at the starting pitcher position so you better get your hands on a couple early if you want to compete. This is especially true if you are playing in deep leagues. I’m talking two or three in the top 25-30. The lack of quality makes those at the top that much more valuable. After that, you’re dealing with a lot of questions as I’m sure you’ll still have after reading some of my starting pitcher sleepers. Only 13 starters spun 200 innings last season. My strategy used to involve grabbing a starting pitcher in the first three rounds, followed by two or three more by round six or seven. My strategy has slightly changed, although, I’m still a believer that you can find one or two impactful starters if you stay active on the waiver wire. That includes taking advantage of two-start pitchers. It’s all about finding value at your draft. That’s the definition of a sleeper. It may be a young pitcher we haven’t seen much from yet or one primed for a bounce-back due to a rough season or injury-plagued campaign. The starting pitcher sleepers below come with some risk, but the price tag is right. Shane Bieber has a ridiculous 232:22 K:BB ratio over 298.1 innings in his professional career. 27:4 in 24.1 big league innings. Can you believe that minor league stat? 22 walks over 298.1 innings is bonkers! As you see, Bieber carried that kind of command over to the Majors as he only issued 1.81 BB/9 over 114.2 innings. He rocked a very respectable 24.3 K% and 4.7 BB%. The great control resulted in him pitching into the sixth inning in 17 of his 19 starts, in which he won 11 games. That’ll happen when you play in a division with the Kansas City Royals, Chicago White Sox and Detroit Tigers. Bieber had the second-biggest gap between his ERA (4.55) and FIP (3.23), among pitchers with 110 innings. It doesn’t mean it’s all going to turn around for him, though, even when you see a .356 BABIP. The Indians’ pitcher punched guys out and limited his walks last season, but when he was hit he was hit hard (43.9%). 75.5 contact percentage and 11.4 SwStr% are attractive numbers and the current draft price is too. I think he could be a borderline top-30 pitcher this season. Overall, Bieber has a 260:19 K:BB ratio over 277 minor league innings. In 2018 alone, across AA, AAA and the Majors, he had 195 strikeouts to 30 walks in 194.1 innings. Kevin Gausman is just one of a few pitchers on the Atlanta Braves that should have your interest this season. The Braves acquired Gausman from the Baltimore Orioles at the deadline last season and he recorded a 2.87 ERA in his 10 starts. The Braves avoided arbitration with the 27-year-old by signing him to a one-year, $9.35 million contract. Gausman has pitched at least 179.2 innings in three straight seasons and he has a solid 44.4% ground ball rate over that time (550 IP). I truly believe a change from the American League to the National League will be good for him. He may end up flirting with a 9.0 K/9 again in the NL. Also, just to get out of the AL East. 34 of his 55 home runs allowed over the last two seasons have come at hitter-friendly Camden Yards. Gausman’s spot in the rotation is secure, but you should keep an eye on the rotation throughout the year as there are a lot of promising prospects in Atlanta’s system. I believe in Sean Newcomb despite the high walk rates, and Mike Soroka is bound to make some noise this season. Luiz Gohara and Max Fried are names you’ll hear as well this season. Julio Teheran is someone I don’t believe in. Keep tabs on the bullpen too. Make sure you have some shares of A.J. Minter as Arodys Vizcaino’s shoulder slowed him down in 2018. Tyler Skaggs is coming off a breakout campaign in which he set career highs in starts (24), innings (125.1), K/9 (9.26) and ERA (4.02). I know 125.1 innings doesn’t seem like a lot and the ERA isn’t spectacular, but there were a lot of good signs in 2018 for Skaggs. First of all, he’d been held to 134.2 total innings in three years prior to last season. Injuries have slowed down his growth significantly and that was certainly the case in 2015 when he missed the entire season due to Tommy John surgery. A left adductor strain limited him in the second half of 2018 and I’m going to say it contributed to some of the blow up games down the stretch. Skaggs allowed two runs or fewer in 15 of his first 19 starts and it was all forgotten when he coughed up 17 runs in back-to-back outings. Skaggs had allowed at least three runs in four of his final five starts. There was a DL stint mix in there as well. He gave up 28 runs over 27.1 second half innings, compared to 28 runs over 98 first half innings. So which Skaggs can we expect in 2019? One that will likely land on the DL at some point, whether that’s unfair to say or not. If you can get 150 innings out of Skaggs this season then he’ll return a profit. Some of the good…a career-best 11.0 SwStr%, 76.6 contact percentage, 24.2 K% and 16.7 K-BB%. An injury usually creates a price discount on draft day and that’s what we have here with Jimmy Nelson. The Milwaukee pitcher injured his shoulder late in 2017 and missed all of 2018. It was a bit of a freak injury as he suffered it sliding back to the bag. Nelson is healthy this spring and he’s had successful bullpen sessions so far. He had some very good numbers in 2017: 3.49 ERA, 3.15 xFIP, 10.21 K/9, 2.46 BB/9, 20.8 K-BB% & 11.4 SwStr%. He stuck out 199 batters in 171.5 innings while keeping the ball on the ground 50 percent of the time. This is more of a deep league draft selection and one who may pop up in 12-team leagues during the season if all goes well. Michael Pineda hasn’t pitched in the Majors since 2017 and he hasn’t pitched in a Minnesota Twins uniform yet. Pineda tossed 12 innings of minor league ball toward the end of 2018 as he continued to work his way back from Tommy John surgery. He’s expected to be part of the opening day rotation in Minnesota, but you’re going to want to pay close attention to his spring. The injury list on the resume is quite large, which explains the ADP of SP116. The question, of course, will be can Pineda get back to or close to his pre-Tommy John form? Pineda had the fifth-highest K/9 (10.61) in 2016, and it was the highest in the American League at the time. Home runs were his only downfall in his last three seasons with the Yankees (68 total), but his K-BB% numbers from 2015-17 were phenomenal: 20.2, 20.4 and 17.3 K-BB%. Pineda is repping a 9.09 K/9, 2.08 BB/9 and 24.5 K% over 680 career innings. Josh James only made six appearances last season but he was very impressive, especially in his three starts. The Astros’ pitcher allowed 11 hits and four earned runs over 15.1 innings. He fanned 19 batters over that span and really only struggled in his first start against the Los Angeles Angels; an outing in which he allowed three runs and walked three batters. That said, he only allowed three hits over five innings and he struck out nine. James racked up 29 strikeouts over his 23 innings. Small sample size or not, James had a ridiculous 14.4 SwStr% and 68.9% contact percentage last season. He has three strong pitches which include an average fastball that sits at 97 MPH, but has reached triple-digits. 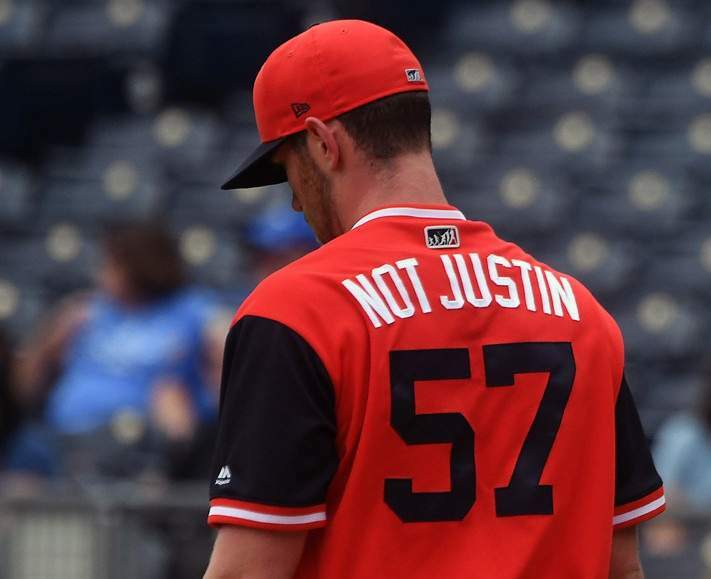 Our very own Nathan Dokken touched on the usage and execution of his pitches in one of his latest columns called Reality Check: Josh James Is Sleeping. As Dokken points out, walks have been an issue for James throughout his minor league career, but he has significant strikeout upside. James fanned 38 batters in 21.1 AA innings and 133 in 92.2 AAA innings in 2018, before his September callup. James has a legit chance to stick inside the rotation with the loss of Dallas Keuchel, Charlie Morton and Lance McCullers Jr. (Tommy John). The lack of big league innings has resulted in some telling signs of regression: low BABIP, high strand rate and -1.11 ERA-FIP. That said, Steamer projects a 10.21 K/9 and 26.6 K%. The one fear I have has to do with his innings max. Will he get 150 innings? He should but he may not get more than that and he could move to the bullpen later in the year. You can worry about that then, though. I updated what I would do with Josh James in one of my AL spring training battle reports.